Every year at the Super Bowl, advertising kicks it up a notch. Because, well, considering the amount of people who watch the Super Bowl, they can’t actually lose money. NBC takes top points from us for their musical ad spot for their primetime shows. Check out Brotherhood of Man, starring the folks from Parks and Recreation (hot damn! Amy Poehler can SING! 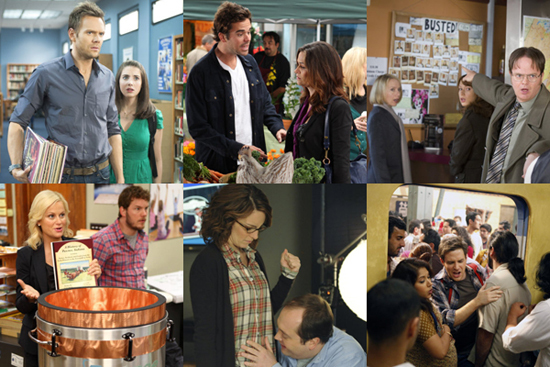 ), 30 Rock, Community (thank God they remembered the show still exists), The Office, Law and Order: SVU (hot dam! Mariska Hargitay can SIIING!) and the new NBC musical show Glee: On Stage. Oh, wait, it’s called Smash. Whatever, just watch the video.